You're here: Home » DIY » Home Improvement » Home Building & Design » 3 Tips to Stay Away From Asbestos Exposure While Remodelling Your Home! Asbestos exposure can cause major health issues, and the reason we are talking about this is that you are definitely going to come in contact with them during home remodelling. Remodelling your home is always exciting. Just dream up a workable design, find the right tools, and dive in to put your plan into action. You can remodel your house or any part of it all by yourself. But as much as you might be pepped about remodelling your home, there might be a few things you should keep in mind. Especially, the things we are about to say now. Asbestos, as we might have heard is a mineral. But what we might not have heard is, how dangerously harmful it is for us! Asbestos has been used in buildings for thousands of years because of their resisting property towards heat, fire, electricity, and chemicals. It’s safe till the point the fibres become airborne and can get lodged into your lungs and airways when you inhale such air. This is where asbestos removal services are required. Professionals in asbestos removal companies (such as Proactive Asbestos Control Limited) are the ones who can help you in such situations. Even though asbestos used to be integrated into buildings long back, and is found more in the cases of old homes, new houses are not completely free either. 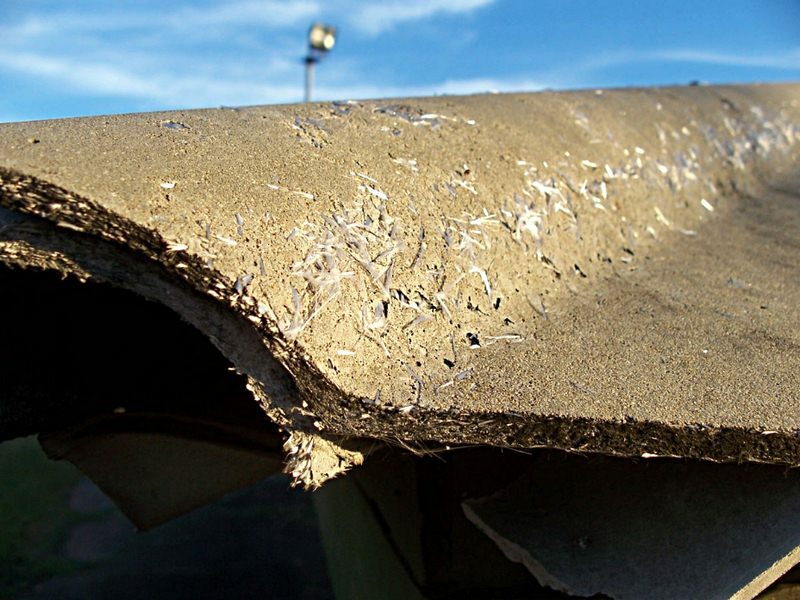 Even newer homes can contain asbestos due to the overturned ban on products and materials that contain asbestos. It’s of utmost importance that, any remodelling plan that you make, consists of an asbestos-discovering and a following asbestos-removal procedure. It’s always better to contact a licensed asbestos removal company; but in case you are doing it yourself, we advise you to follow these three safety tips. Because we don’t want you going about knocking into walls, removing plumbing pipes etc. and contaminating the house air by disturbing asbestos fibres. Steam pipes, boilers, etc. insulated with asbestos. As for backing on vinyl sheet flooring. Cement sheet or millboard which is used as insulation around furnaces. Resilient floor tiles and the glue used for installing it. Patching and joint compounds used on the walls. Damaging/disturbing any of the asbestos materials. Sawing, drilling holes, scraping etc. any of the materials. Sanding or attempting to level out asbestos flooring or the backing. Dusting, sweeping, or vacuuming any of the debris that may contain asbestos. Using tough brushes or abrasive pads to strip off wax from asbestos flooring. If any asbestos-containing material has been damaged or disturbed during the remodelling process, you are at great risk. Asbestos in the air can lead to serious health issues for you or anyone in close proximity of the house. It’s highly advisable that you hire or take the help of accredited professionals in the asbestos field. They will make sure to remove the asbestos efficiently. They are ones who inspect the building carefully, assess the situations, take samples of the materials which are suspected to contain asbestos, for testing, and to advise you about the corrections that need to be done. These professionals are the ones who are entitled to the job of repairing or removal of asbestos materials. They along with their highly trained workforce will expertly remove all traces of asbestos from your property. It’s taken directly from your homes and deposited in a licensed landfill site. So, having taken care of these three matters, you are all set to remodel your home into something beautiful, without having to take many risks. Just take the help of professionals for the asbestos removal process. And concentrate on the job you should be concerned about in the first place, the remodelling.